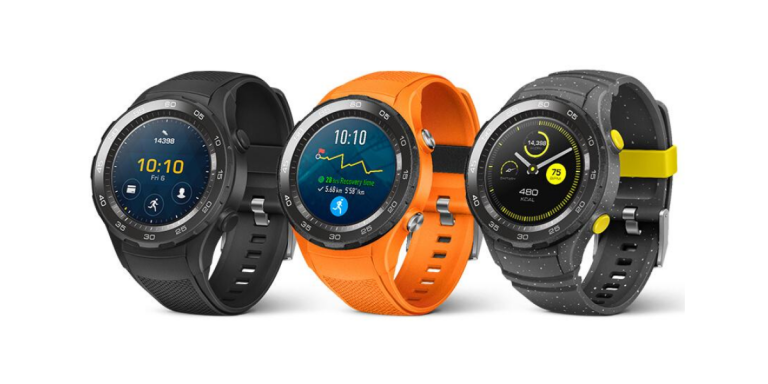 The new, sporty Huawei Watch 2 will debut at MWC in Barcelona on Sunday. The new smartwatch has two buttons instead of one like the original model. The main draw is that the watch has a slot for a nano-SIM card. Hence, it doesn’t require pairing with another nearby device for phone calls and data. Image source: Huawei. Slot for nano-SIM card on Huawei Watch 2. Huawei Watch 2 runs the latest Android Wear 2.0 operating system. The dimension of the watch is the same as the predecessor and measures 1.4-inch. The newly released product images also reveal a credit card icon, which indicates support for Android Pay. An NFC-chip will therefore also be present. The battery is charged via connectors on the rear side of the watch. There’s no word regarding the pricing yet. 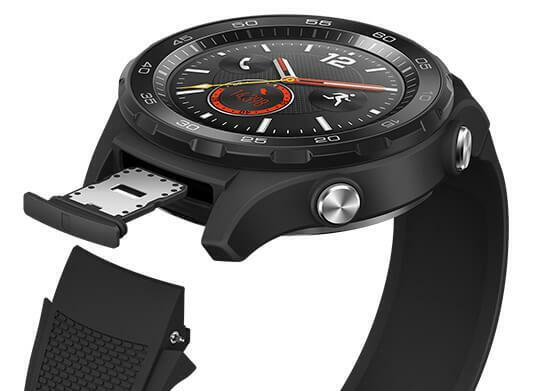 Huawei’s current smartwatches start at around $520 and it’s likely that the second generation Huawei Watch will cost more since it’s LTE-enabled. The watch is available in three colours: black, orange and black with scattered white dots. Th official release occurs on Monday morning on the 27th of February at 2AM NZ time. Huawei’s main presentation at the Mobile World Congress (MWC) is otherwise the new flagship Huawei P10 phone.